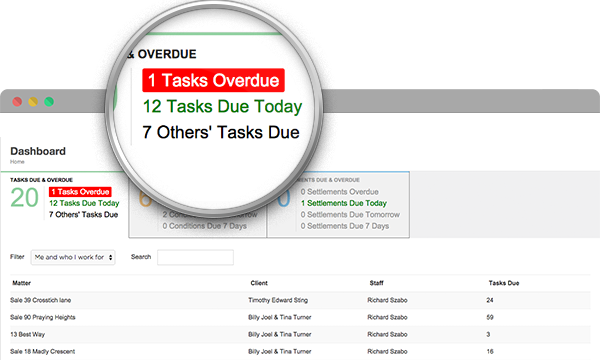 To help you quickly prioritise tasks that are due or overdue we’ve introduced two new enhancements to conveyIT Maestro. We developed the dashboard feature in collaboration with our subject matter experts. We asked the question, “what do you want the system to tell you?” They wanted to know when a task is overdue and to be notified of all settlements that are coming up, they wanted it to be clear so that there is no way they would miss a settlement deadline.